Columbia offers lots of great options for downtown living no matter your price range. For homes close to our Famously Hot City Center, check out some of the following neighborhoods offering homes under $250,000. 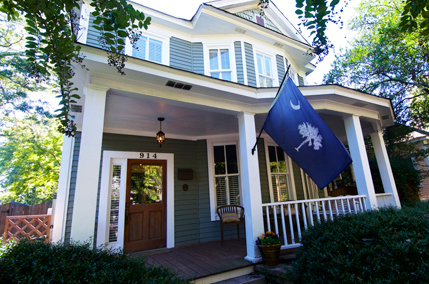 This charming historic neighborhood features some of Columbia’s oldest homes set amid tree-lined streets. Porches abound, giving the Elmwood Park an old- fashioned, get-to-know your-neighbor feel. Convenient to downtown and to the future development slated for the former Bull Street Asylum, you will soon be able to stroll from the Elmwood Park neighborhood to a minor league baseball park to take in a game. Melrose Heights was established in the early 1900’s. Although located just minutes from downtown and within walking distance to the shops and restaurants of Devine Street, it was once considered the first suburb of Columbia. This neighborhood features an eclectic mix of bungalow and craftsman homes as well as a few excellent examples of Prairie Style homes. In 2003, Melrose Heights became an architectural conservation district. Melrose Park is home to a community garden and hosts after school programs and neighborhood association meetings. The association is very active and sponsors the annual 4th of July parade and Halloween Spooktacular! For more information, please visit melroseneighborhood.org. The historic area of Old Shandon is bounded by Millwood Avenue and Devine and Harden Streets. With its close proximity to the USC campus, this neighborhood is popular with students and young professionals alike. Bungalows, Victorian style homes, and pre-World War II brick cottages are found in Old Shandon. Comprising only 37 acres, this historic neighborhood contains at least 42 homes named by Historic Columbia as having architectural merit. The neighborhood is also on the National Register of Historic Places as the Old Shandon Historic District. Shandon Homes under $250,000 can go quickly in this neighborhood, so make sure you have a Realtor with knowledge of the latest homes for sale in Shandon. Shandon’s tree lined sidewalks and parks encourage a friendly, active lifestyle. On any given day, runners, strollers, and dog walkers are abundant on the streets of Shandon. The neighborhood’s friendly vibe ensures you feel at home immediately, as neighbors wave from front porches and gather to chat on the sidewalks or at Sims Park or Emily Douglas Park, both popular gathering spots for neighbors. Just across Rosewood Drive from Shandon, Rosewood offers a great location well below the prices of Shandon. Enjoy a quick commute to campus and strolls to the many local shops, neighborhood pubs, and restaurants popular with Rosewood and Shandon residents. Don’t miss Rosewood Market, a long established local organic food market with great cooked dishes to enjoy dining in or at home. This historic community on the western edge of the USC campus was originally built around a thriving mill located in the area, now long gone and eventually converted into luxury student condominiums. Despite the inevitable transitions the community has undergone, the culture of the village still has a strong grip on the area. A new and very popular addition to the Olympia neighborhood is 701 Whaley, a thriving community center with office suites, live/work lofts, 701 Center for Contemporary Arts, and unique spaces for event rentals. West Columbia, Cayce, and Granite Heights are just a hop and skip across either the Gervais Street Bridge or the Blossom Street Bridge. Check out the super close to USC Avenues District in West Columbia. When West Columbia grew from the river, the Avenues was developed with each street designed by letter such as D Avenue, and C Avenue. Now young families, students and professionals have moved into these homes breathing new life into the area. Convenient to the Columbia Metropolitan Airport, the Avenues is also super close to a made-on site Krispy Kreme for those late night cravings.